Bitcoin Diamond (BCD) is a fork of Bitcoin, aiming to offer faster transaction confirmations, lower fees and more inclusive mining. They have removed the SHA-256 algorithm in order to offer more decentralized mining. Bitcoin Diamond’s history started in November 2017 withBitcoin miners named “Team Evey” and “Team 007” who were dissatisfied with the manner of operation of the Bitcoin Core protocol. Although Bitcoin was the first cryptocurrency to gain mainstream recognition, they felt that it still failed to deliver what was promised as the original vision of Satoshi Nakamoto, i.e. fast and affordable transactions of all amounts, waterproof privacy protection and accessibility to new users. These were the areas which those who pushed for the hard fork from the Bitcoin blockchain saw as an opportunity to attempt to build on Bitcoin’s alleged shortcomings. While sharing the core goal of its “parent” cryptocurrency in the sense that it has the ambition to become a decentralized global network for the exchange of assets, Bitcoin Diamond also wants to do things a bit more differently in several technical and operational segments. What Bitcoin Diamond wanted to improve initially were the transaction times on the Bitcoin platform. As the BTC blocks have been limited to 1 MB in size, this originally allowed the platform to carry out between 2 and 7 transactions per second which has dragged down the number of transactions per second. Bitcoin Diamond developers saw the requirement of having the 1 MB block size a leftover from the early days of Bitcoin history which limited its capability to scale with the rise in the number of users. With larger block size, they hoped to prevent having the blocks become congested with the amount of pending transactions, just like its mempool. Instead of this, larger block size was supposed to increase the number of processed transactions and deliver a faster average transaction times. To achieve this, Bitcoin Diamond offered support for larger block sizes, raising the related limit to 8 MB. While both of the platforms have the same block time of ten minutes, Bitcoin Diamond hoped to provide support for eight times higher amount of information based on this increase. Also, the transaction capacity of the blocks was supposed to be provided with a five-fold boost. Combined with the implemented Segregated Witness process, the BCD is advertised as capable of performing 100 transactions per second. Bitcoin Diamond also went for increasing the unit block to allow for more storage trading with the goal to optimize storage on its network and keep the generation of isolated blocks at minimum. At the same time, the BCD team had to shake off the initial fears of the community which believed that increased block size will ultimately hurt Bitcoin Diamond’s decentralization efforts because of more demanding maintenance of the full nodes. This led Bitcoin Diamond to put additional efforts in implementing other solutions to improve its performance. As these figures was still lower compared to the transactions speeds offered by the payment processing platforms such as Visa or Mastercard, Bitcoin Diamond needed to take another step in creating a convincing enough ecosystem for both the real-time and high-frequency payments. To that effect, the Bitcoin Diamond team opted for the implementation of the Lightning Network as its second layer payment protocol on the blockchain. The implementation of this feature on the BCD network went live in July 2018. At the same time, Bitcoin has also started deploying the Lightning Network features in the same year. Lightning Network is designed for facilitating real time transactions by putting a portion of transactions off the blockchain while the smart contract system helps with the management of these operations on the off-chain channel. The blockchain itself is then used to verify the final state of the transaction. Users can send funds to other users on the network, provided that there is a set of channels which connect them. In theory, this should solve the issue of scalability with the rising number of the users on a network, and bring the supported number of transactions considerably higher than Bitcoin Diamond could handle without the Lightning Network. The implementation of Lightning Network also had its business rationale for Bitcoin Diamond, as the platform hopes to establish itself as the main cryptocurrency for the parties making frequent low and high amount payments. With this system being deployed on the BCD network, these subjects will be arguably protected from paying the fees whose amount exceeds the one of transaction itself, or whose confirmations take anything from several minutes up to few hours. There are some concerns regarding the future of Lightning Network as the platform for processing large amount transactions on the Bitcoin Diamond network. This has to do with the liquidity of the connections that need to exist between the parties involved in transactions. In order to have the Lightning Network do its job, it should be made capable of sending payments from one segment of the network to another. The channels which help process transactions off the main blockchain are supposed to feature just enough funds i.e. liquidity on them to make the entire process successful. The software the BCD sender utilizes for this purpose has to discover the full route to the recipient before it starts routing payment. The problem is the fact that large payments cannot be broken down into smaller ones, which means that each stage (or “hop”) along the route should have sufficient capacity or liquidity to handle the payment. In addition, the route also has to be the cheapest one (i.e. with the lowest off-chain fees) and feature at least several hops in order to offer anonymity. This raised some concerns among the community of BCD users who fear that the demand for the high amount of capital for these transactions would ultimately lead to the establishment of centralized hubs which would focus on providing lightning nodes as a service. They give voice to concerns that the users will be incentivized to use large hubs with sufficient liquidity to support big payments. It remains to be seen how the Bitcoin Diamond network will respond to these concerns since avoiding centralization in any form was proclaimed as one of the reasons for its fork from the Bitcoin blockchain. In any case, the developers described the implementation of the Lightning Network as an ongoing process marked by field testing and gradual adoption in line with its performance in the field. Bitcoin Diamond’s initial vision of becoming a faster, more accessible and cheaper coin meant working on improving the limits of Bitcoin’s transaction system while retaining what has been demonstrated to work well. Despite Bitcoin’s popularity, the Bitcoin Diamond developers felt that the platform has become rather expensive for regular use. With its price going above six thousand US dollars, it has arguably become hard for an average user to afford acquiring this currency. Bitcoin Diamond went for a different approach and significantly increased the total supply of its coins to 210 million BCD, compared to 21 million BTC. Users who had 1 BTC before the fork took place had their coin acquire the value of 10 corresponding BCD. 170 million of these coins were made available to the general market, while the rest are set aside for the use by the community in form of the reward pools. According to the Bitcoin Diamond developers, increasingly slow transactions on Bitcoin were not the only problems the platform had to contend with. It also faced the issues of increasingly high payment threshold payments for new and prospective users. Bitcoin Diamond developers felt that the split-off from the Bitcoin’s original blockchain has arguably created more capacity for transactions and thus reduced the cost of threshold for participation. In order to achieve this, Bitcoin Diamond also went for lower transactions fees which were perceived as being too high in case of Bitcoin. At the same time, this drive towards greater accessibility is supposed to make Bitcoin Diamond more readily adopted among the small and medium enterprises and users looking for the cryptocurrency suitable for smaller transactions with inexpensive products. Bitcoin Diamond has recently entered a business partnership that will allow it to work on establishing the BCD Bazaar, an e-commerce platform which will use cryptocurrencies as exclusive means of payment and transactions. Can Bitcoin Diamond Offer More Inclusive Mining? In its bid to become a more accessible coin, Bitcoin Diamond also focused its efforts on offering more inclusive mining with its platform. It made mining BCD coins manageable with less than stellar hardware resources thanks to its implementation of a new Proof of Work algorithm on its network called X-13. This algorithm made it possible for the users to mine their BCD coins with graphic processing units (GPUs) i.e. graphic cards. Unlike what is the case with Bitcoin’s SHA-256 algorithm, Bitcoin Diamond’s X-13 makes life much harder for the owners of specialized mining hardware that puts them in what the BCD developers describe as unfairly advantaged position over the regular miners. This means that all ASIC hardware for mining based on Bitcoin’s algorithm is made ineffective for mining BCD. At the same time, manufacturers of these types of hardware will have much harder time in trying to come up with similar solutions customized for Bitcoin Diamond due to the complexity involved in such an effort. In this manner, the owners of specialized hardware will not be able to outpace those having average systems, while the existence of ASICs will not be able to endanger decentralized mining on the Bitcoin Diamond platform. At the same time, users are invited to join Bitcoin Diamond mining pools in which their hashing power is combined in an attempt to make the block finding much easier. The rewards are divided among the pool members. Bitcoin Diamond’s website lists six of these pools which are supported at the moment. 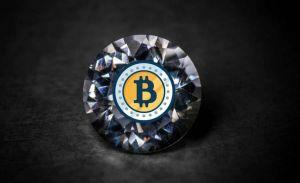 Initially, Bitcoin Diamond sought to address concerns regarding what its developers described as insufficient privacy protection offered by Bitcoin. To that effect, they expressed desire to encrypt as much user information as possible. Yet, this strategy was changed in early 2018, when the Bitcoin Diamond team announced suspending its efforts on encryption of user data in favor of pursuing faster implementation of the Lightning Network. The reason for this is their belief that hiding user data will become impossible in the future since the governments will make it mandatory for all cryptos to reveal these information. The same trend will supposedly prevent business from supporting coins that allow high levels of privacy and anonymity for its users, according to the Bitcoin Diamond developers. Yet, this is not to say that Bitcoin Diamond has not worked on making its cryptocurrency safer for use. For starters, it put effort in preventing “replay attacks” which involve replaying regular transactions on the Bitcoin chain on the one used for Bitcoin Diamond. In this manner, the attackers could steal BCD coins from their users despite the fact that the chains of these two cryptos are now forked. Thus, Bitcoin Diamond had to change its transaction format in order to avoid having the transactions with bitcoins being seen as valid on the BCD chain. In addition, its implemented SegWit serves to prevent malleability attacks which involve receivers changing a sender’s transaction ID to get their hands on more BCD. With digital signatures being separate in case of SegWit, potential attackers now have to nullify the digital signature whenever they attempt to modify the transaction ID. As of November 2018, Bitcoin Diamond’s market cap stands at USD 267 million. Its historic high was reached in early 2018, going just below one billion USD. The current number of coins in supply is more than 153 million BCD. In addition to mining, BCD coins can be acquired by buying or trading with them on crypto exchanges such as Binance and HitBTC. In addition to six verified wallets supported by Bitcoin Diamond, any secure Bitcoin wallet can be used to store BCD prior to reaching the predetermined height as of block 495866.